NORSILK floors and parquet flooring are installed on joists for good system ventilation. The wood used is of first quality and comes from sustainably managed forests. The wood that suits your desires, naturally white or in your colours. The Northern Fir grows naturally on moist, nutrient-rich soil. These conditions result in a strong, homogeneous material with tight growth rings that make it unique. Depending on the desired effect, you can let its natural whiteness express itself by just applying a protective treatment such as a vitrifier or paint it to obtain an original atmosphere. 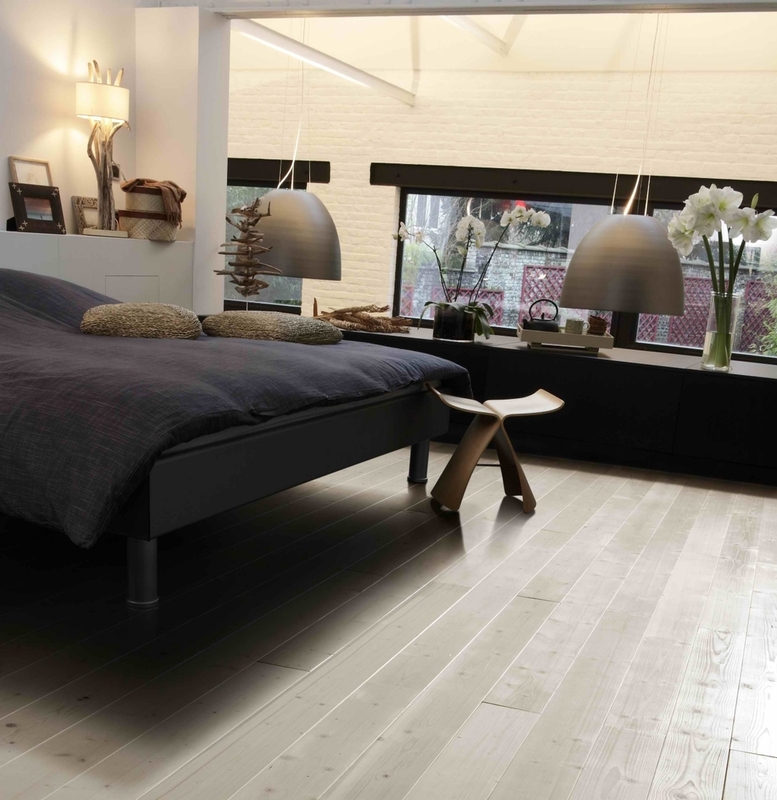 The neutral and regular appearance of the floor makes it suitable for all rooms with low traffic volumes. The "12% dry" finish greatly reduces the dimensional variations of this product installed on joists.